Absolutely immaculate 1726 sq. ft. two story split in a prime location backing onto a green space! 2 Ensuite baths and 3 bedrooms total with the lower level almost complete including a full bathroom off the finished lower bedroom. Older kids, nanny, extended family? Spacious main floor including the wonderful family sized kitchen and eating nook. Hardwood floors, recent interior paint in soft neutral colors, 2 big bedrooms up, sunken main floor family/living room, and an extremely quite "close" location. 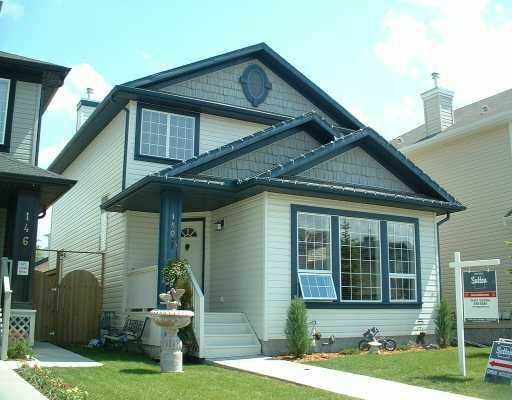 All this completed with a wonderfully landscaped and fenced lot, double detached garage, back deck, and front veranda. Location, condition, price, and carefree living - this bare land condo with fee's of only $99/mo takes care of snow removal, lawn care, and more. Ownership in Rocky Ridge includes exclusive use of The Ranch Centre, complete with water park, tennis courts, dance and karate lessons, and more. - "1 CLICK ACCESS" from the ICONS above to complete tours, pictures and links!